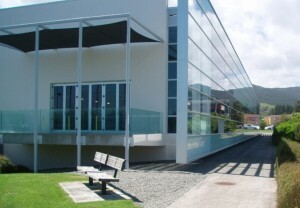 In response to the Christchurch massacre, the Kāpiti Coast Council has been placing condolence books in the District’s libraries for people to leave messages of support for those affected by the mosque shootings. Mayor K Gurunathan said condolence books will be available in the Paekākāriki, Paraparaumu, Waikanae pop up and Ōtaki libraries from tomorrow, Tuesday 19 March, until Wednesday 27 March for people to sign during library open hours. Mayor Gurunathan said a number of people have been asking after where they can leave flowers affected by Friday’s tragic events. While there’s no official site the following locations have been self-identified by the community: the ‘peace pole’ in Paekākāriki, outside the Ōtaki Memorial Hall in Ōtaki, outside the Waikanae Memorial Hall in Waikanae and by the KiwiRiders sculpture off Marine Parade in Paraparaumu Beach. The KCDC says donations to support the families and friends most affected by Friday’s tragedy can be made by visiting givealittle or LaunchGood.